The materials are a much higher grade than I can find anywhere else. Cup is a touch small compared to a large mug, but not small compared to any normal tea cups you would expect to find. Infuser works perfect and lid keeps tea warm. Still have to clean it with effort if you want it to remain pure white, but nice to have a quality cup to choose from. 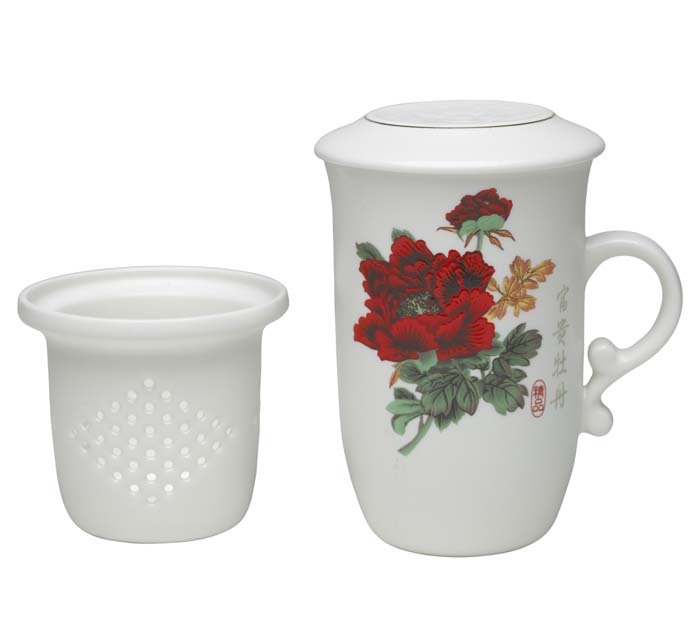 The mug is very beautiful and made from high quality porcelain. I love the Peony Flower design as its bright and cheerful. 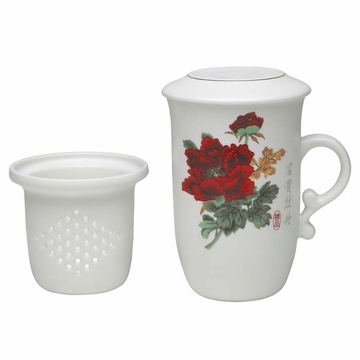 The greatest feature is that the mug does not get stained by tea and cleans very easy. Great as a present!